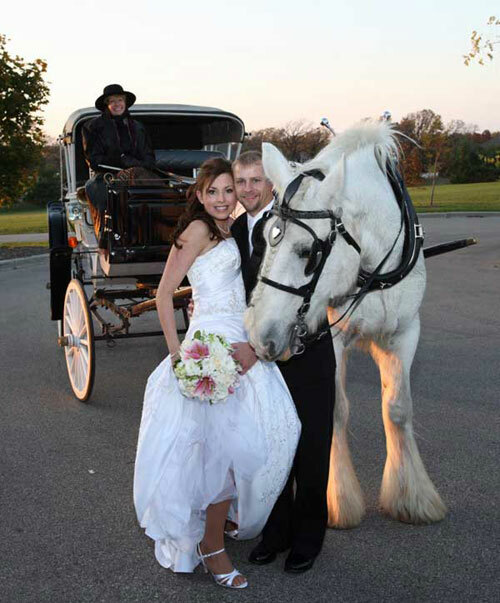 Experience the enchantment of having a horsedrawn carriage at your wedding. After the wedding the bride and groom are whisked away to enjoy a few moments of serenity, to reflect on their vows and have a little private time before their reception. The bride and groom may also offer rides to their guests. Add a bit of excitement to your special day. Children love horses. The presence of a horse is sure to arouse that interest. The Enchanted Carriage would like to thank Nancy Jenkins of Jenkins Photography for many of the pictures used on our web site as well as the video shown above. Let Nancy capture the special moments at your wedding day with her creative talents. You can find a link to her web site under contact info.